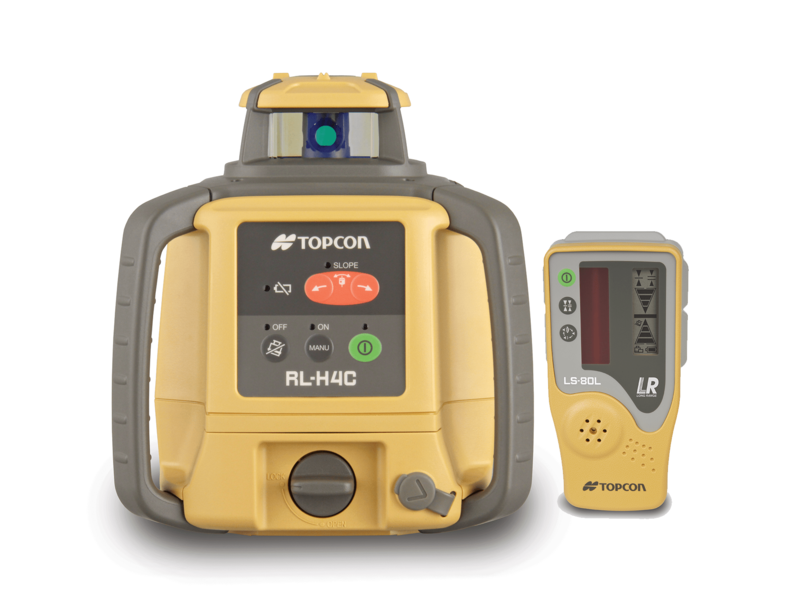 The Topcon RL-H4C auto-leveling laser level combines precision, versatility and value in one job site tough package. Its super-fast self-leveling motors are accurate to +/-10 arc seconds meaning whether you're checking grade or setting batter boards you are going to be accurate the first time. Its high-power 2.4mW diode means you have a 2,600' diameter working range (with detector use) making it a great reference for machine mounted receivers. The 635nm visible beam means it can even be used for interior alignment applications from setting piers and decking, to wall and even cabinet alignment. All of these features plus optional dry, rechargeable battery operation makes the RL-H4C more than twice the laser offered by anyone else. New rugged carrying case that fits standard package plus extra LS sensor and LS-B10 machine mounted laser sensor. Extra LS sensor and LS-B10 sold separately. NOTE: Rechargeable battery may be removed and replaced with 4 D-size dry batteries. Operating time: 100 hours on 4 D-CELL Alkaline manganese dry battery. 60 hours on BT-67Q Ni-MH battery pack.